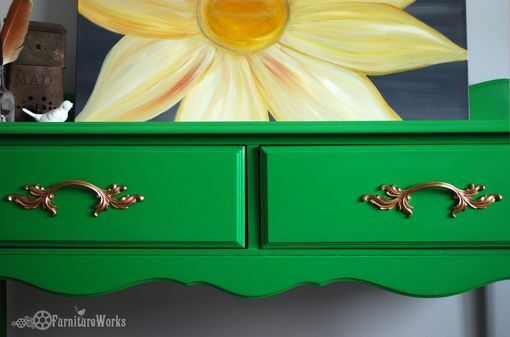 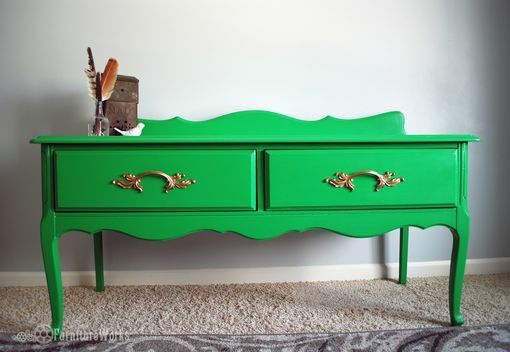 Maggie is an adorable entertainment console or sideboard done in vibrant green. 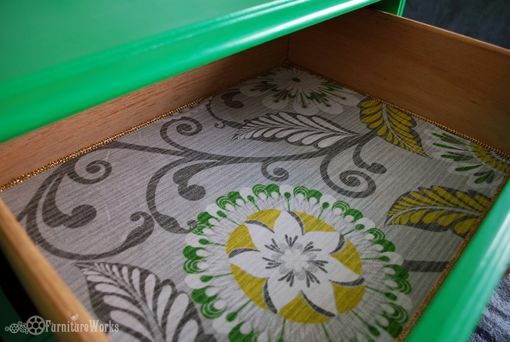 Her two drawers, perfect for all your media components or DVDs, are lined with a gray, yellow, and green floral fabric and trimmed in gold braid. 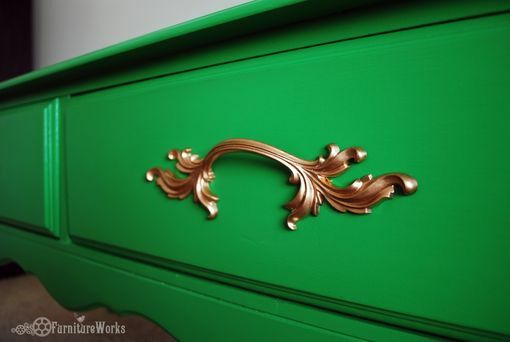 Her feminine handles are painted gold to add an elegant sparkle.